How is everyone? I have had some really good days along with some really bad ones for the past couple of weeks. Thank God for the good ones, right? I want to focus on the good stuff for the moment! I was so fortunate to get an invitation from Carolyn Kates to a Blogger and Media Event at 7th Avenue Pub at Whole Foods Market in Hillcrest. What, you just go to there to shop? My friend, you are missing out. 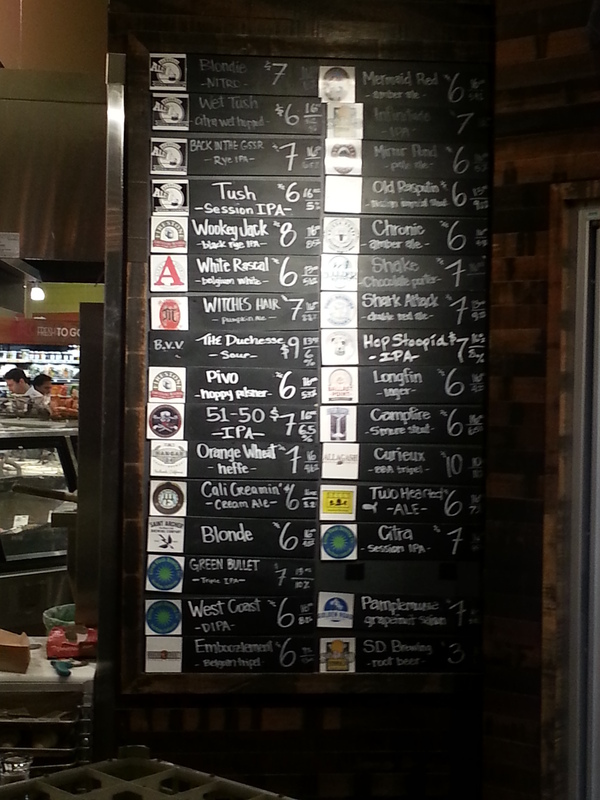 Granted, not every WFM has a pub, but a few in the San Diego area do, and I highly recommend checking it out. I even noticed a Whole Foods Market recently opened pubs in Arlington, VA and Wayne, PA. Check out if your local store has one, and if not, ask for one! When my local WFM opened its pub, aptly named 7th Avenue Pub, my husband and I were curious as to how well it would do and what quality of beers would be offered – and at what price. 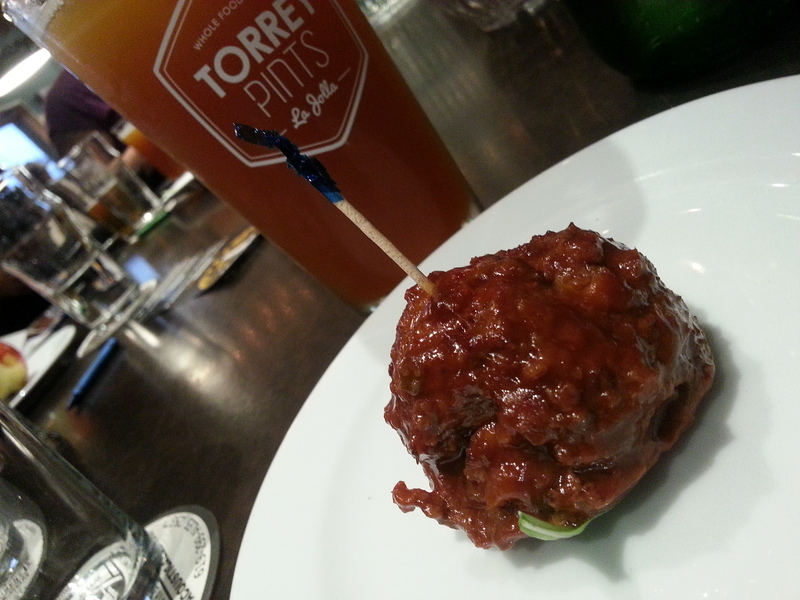 (By the way, the La Jolla location’s pub is named Torrey Pints. I love that name, too.) We have become regulars. Usually we stop in for a flight of beer after a run around Balboa Park. You get 4 tastings for $5 during happy hour. 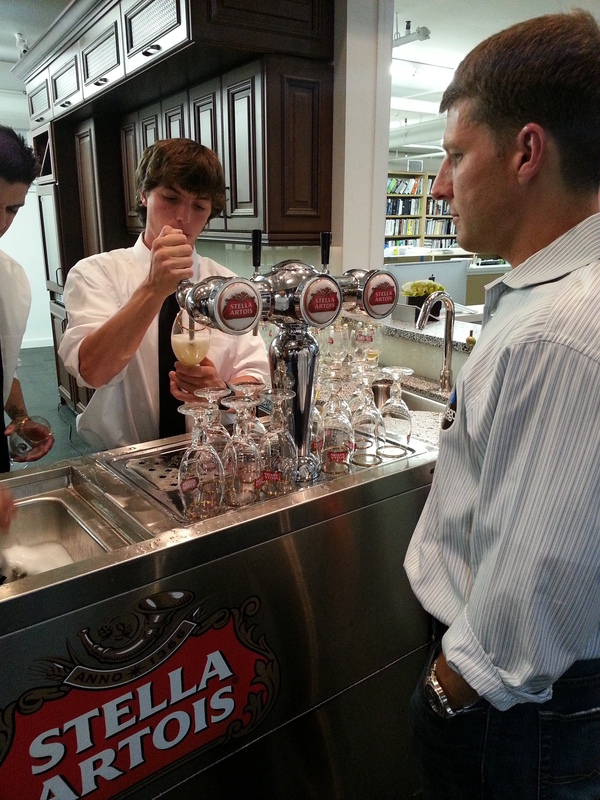 And there are always plenty of taps of local brews from which to choose. 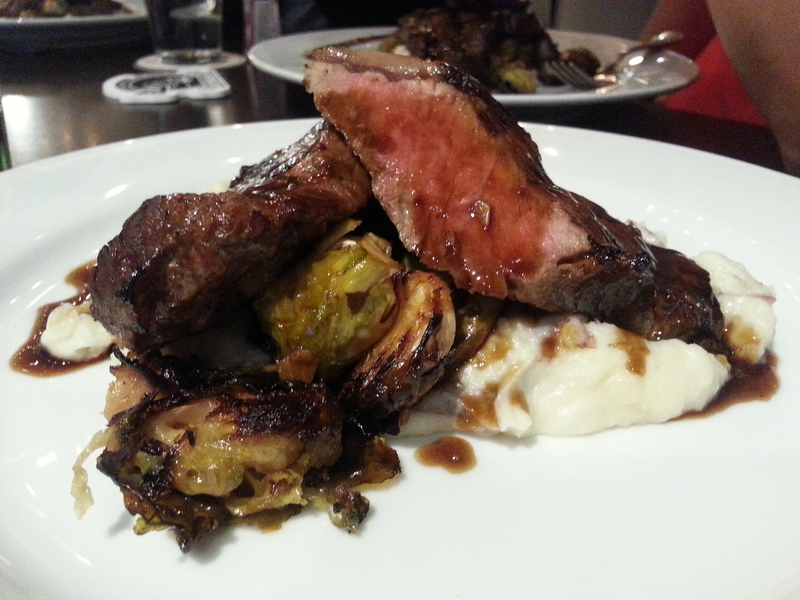 Often, Franz and I will throw in an order of the delicious Roasted Brussels Sprouts and/or Seared Tuna. Nice way to end a run! 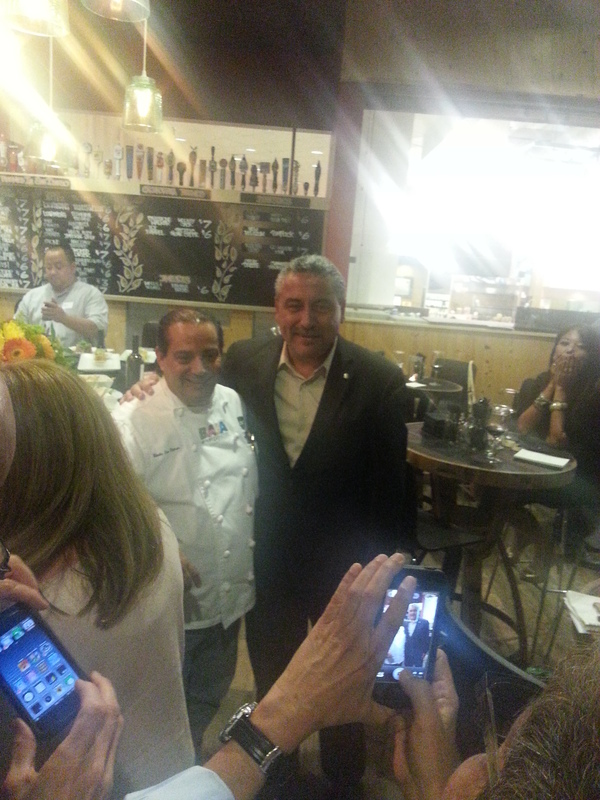 However, the event I attended focused on the new menu created by Chef Martin San Roman and the wines from Monte Xanic Winery. 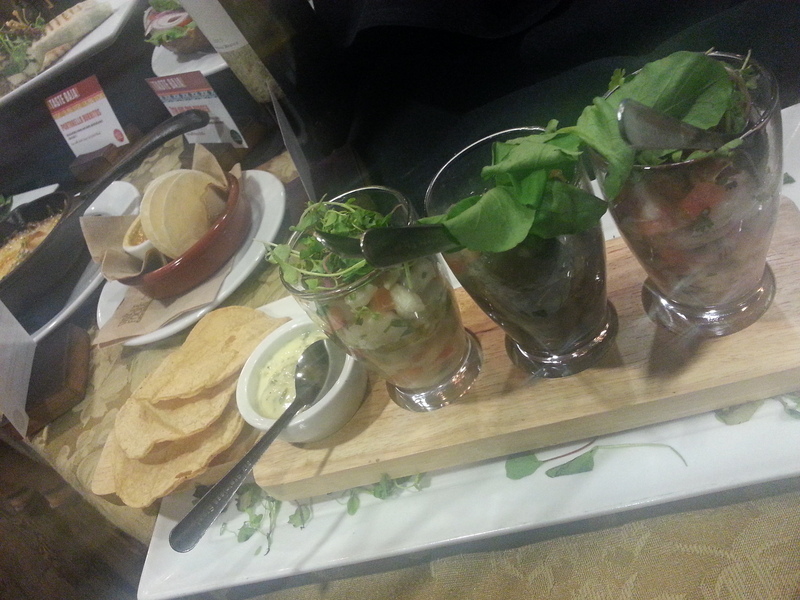 The menu is Baja inspired, and Chef San Roman has an extensive background in French cuisine. What better taste combo?? 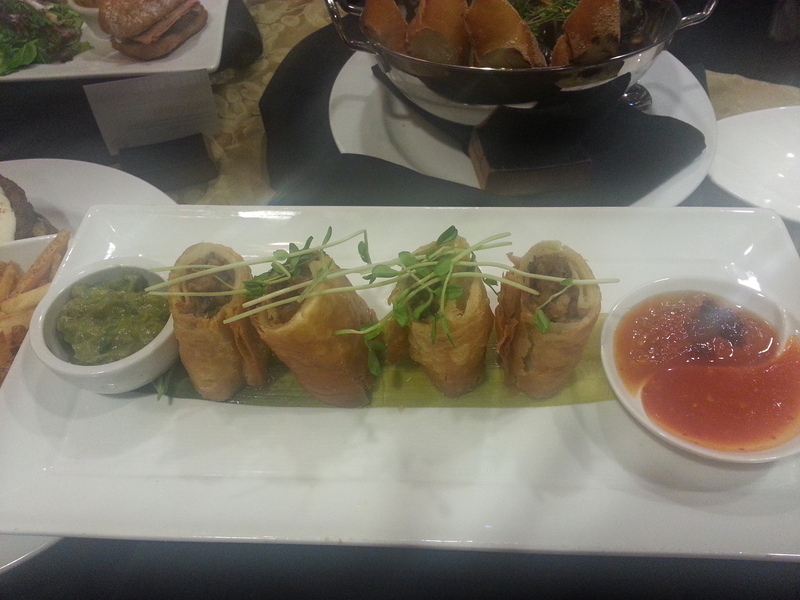 You can taste both influences in the Flautas de Pato, a smoked duck with chile de arbol. 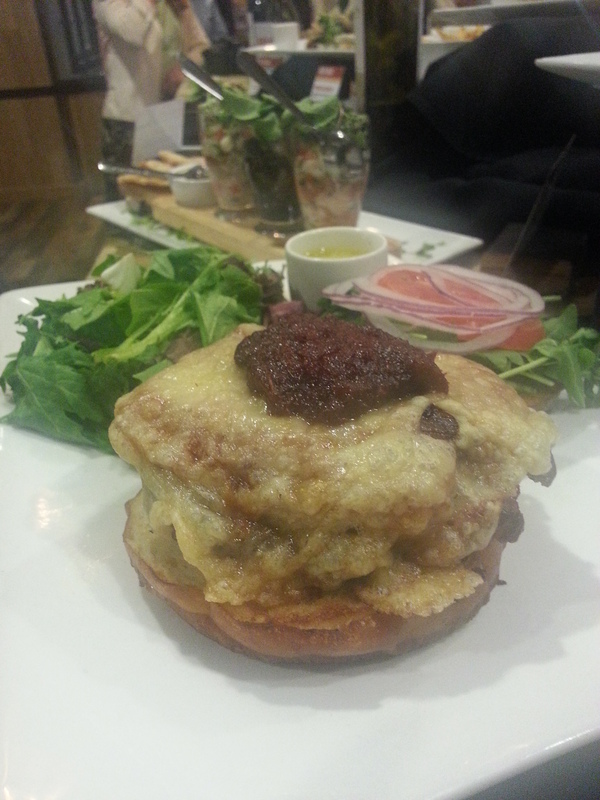 Another favorite of mine was the Baja Burger. If you are a fan of turkey burgers, but can’t find a good one, give this one a try and let me know what you think. The Cranberry Cabernet Jam makes me feel like I’m seated with my family around a big Thanksgiving meal. 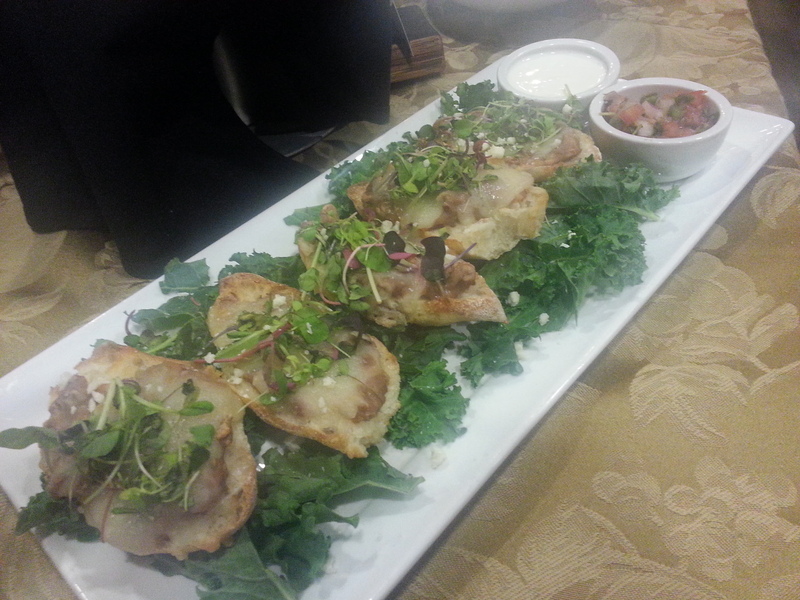 There are so many flavors to take in when eating the Flautas De Pato. Just give into it! 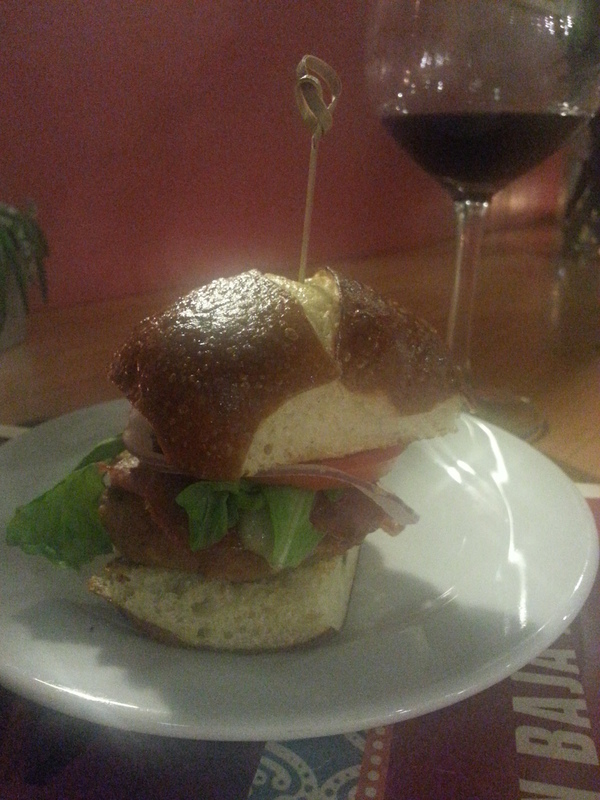 It is suggested to pair the Baja Burger with Cavas Valmar Tempranillo. Yes, please! 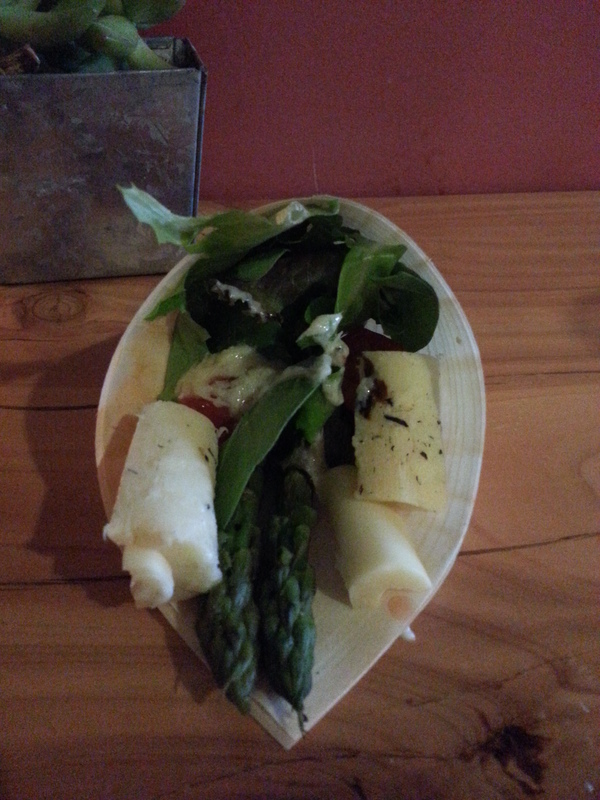 Rustica Salad – Super Fresh and Delicious! I’ve always focused on the beers at 7th Ave Pub, but at this event, we sampled wine from Monte Xanic Winery, from the Guadeloupe Valley. 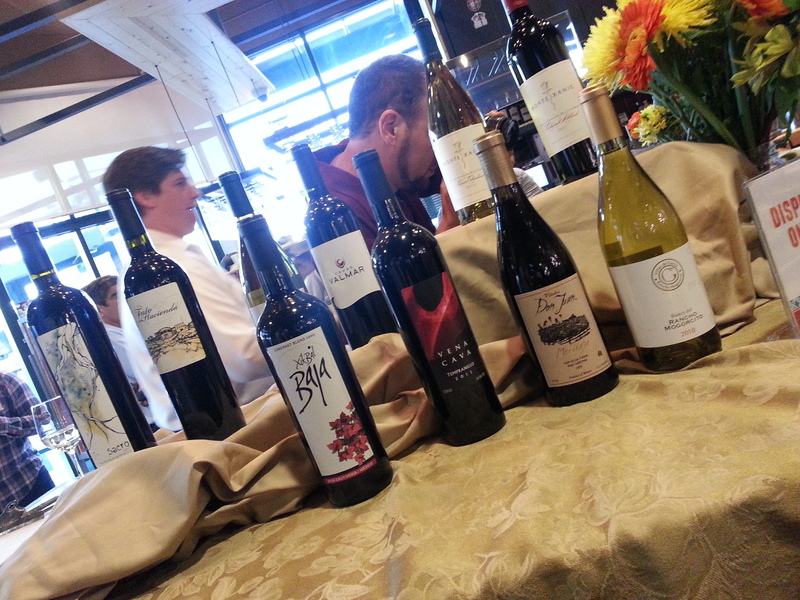 Baja wines? Hmmm. 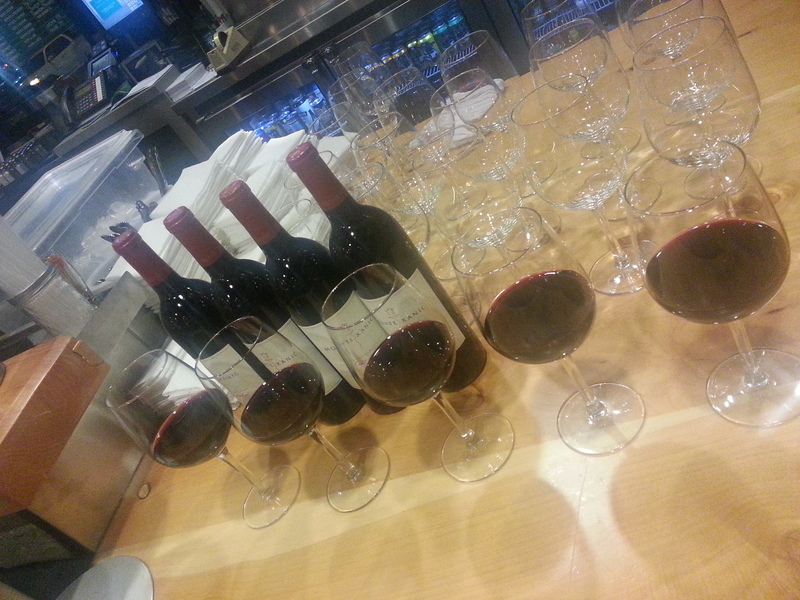 My favorite wines seem to come from California, Australia, Spain, and Argentina. My least favorite wines seem to be from areas like France and Italy. I didn’t say I don’t like wines from those areas, I just tend to go for the bolder wines – kind of like my love of IPAs. I guess I like a punch to the taste buds every so often. 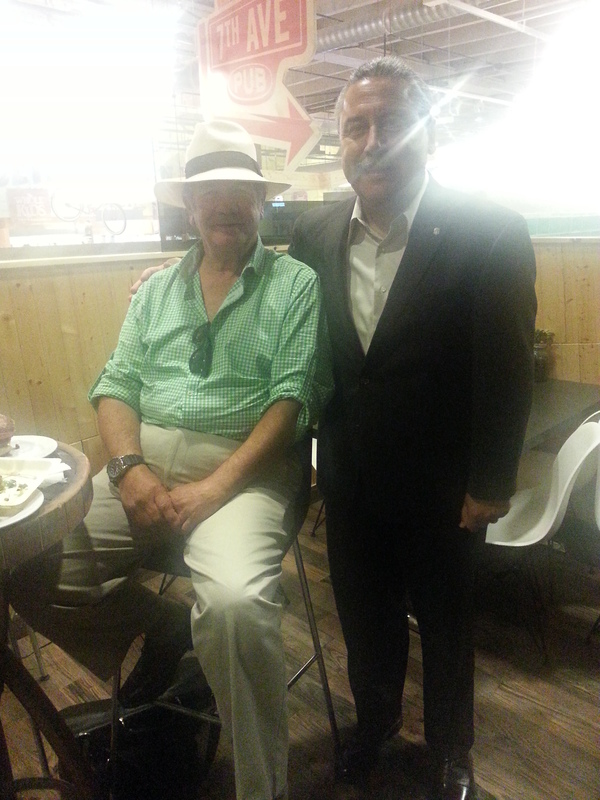 Hans Backoff Sr., founder of Monte Xanic Winery and Master Enologist, was on hand to discuss the wines from this area. So what did I think? What an eye-opener – and taste bud opener. I sampled three whites and one red. 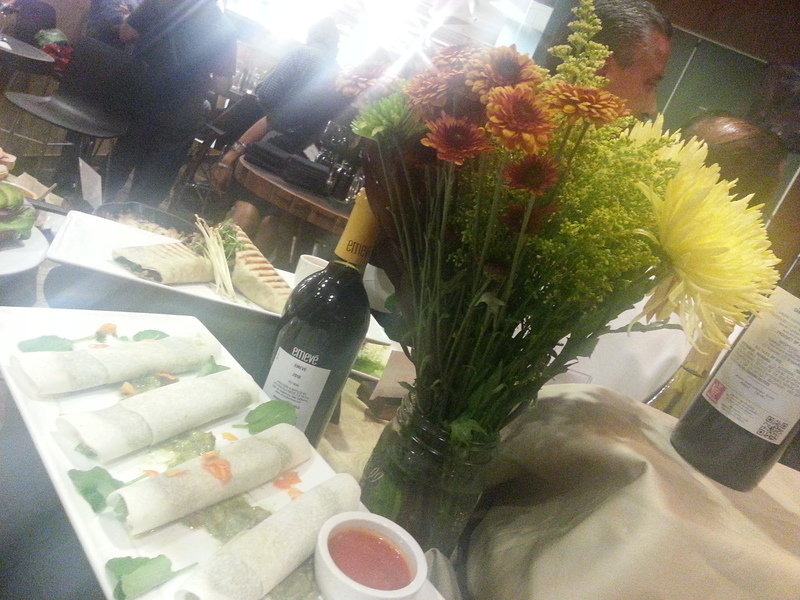 All were delicious and perfectly paired with Chef San Roman’s dishes. I could eat Molletes Tapas (amazing mini bread layered with beans and three cheeses with olive oil, sour cream and pico de gallo) and drink Monte Xanic’s Cabernet Merlot blend ($6 a glass) all night long! The great thing about this place is that it feels really comfortable. I’ve seen many families having dinner and drinks with strollers in tow. I’ve seen women having a drink before they most likely head out for a night on the town. I remember those days! Now I call it around 9pm, if I’m lucky! There always seems to be someone from the local craft beer industry striking up a conversation with random people at the bar. There are a few televisions, so it’s a great place to watch the game. Franz and I watched a football game this past Sunday. For $19, we had a pitcher of Tailgate Dodgy Knight IPA and a pepperoni pizza. Not bad at all! And with the huge floor to ceiling windows facing 7th Avenue and University Avenue, you don’t feel like you are stuck in some grocery store. Like Bruschetta? 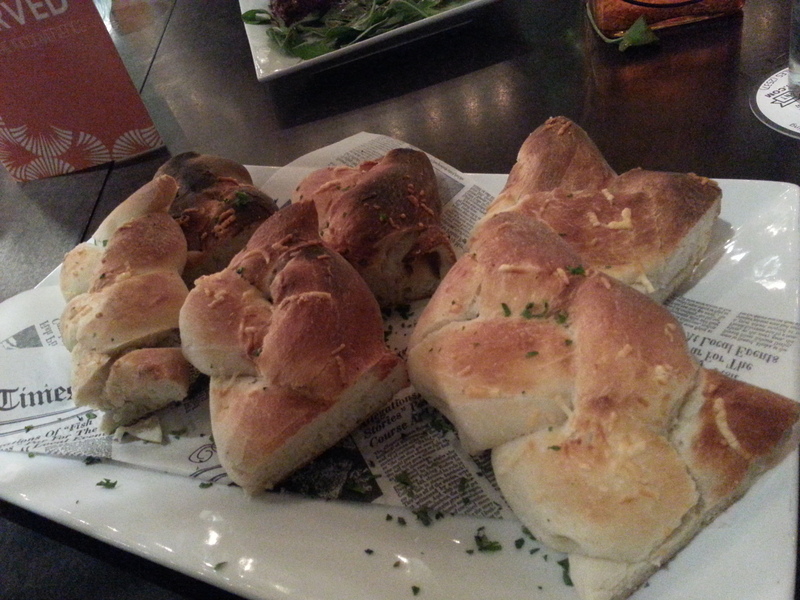 Try Molletes Tapas!! 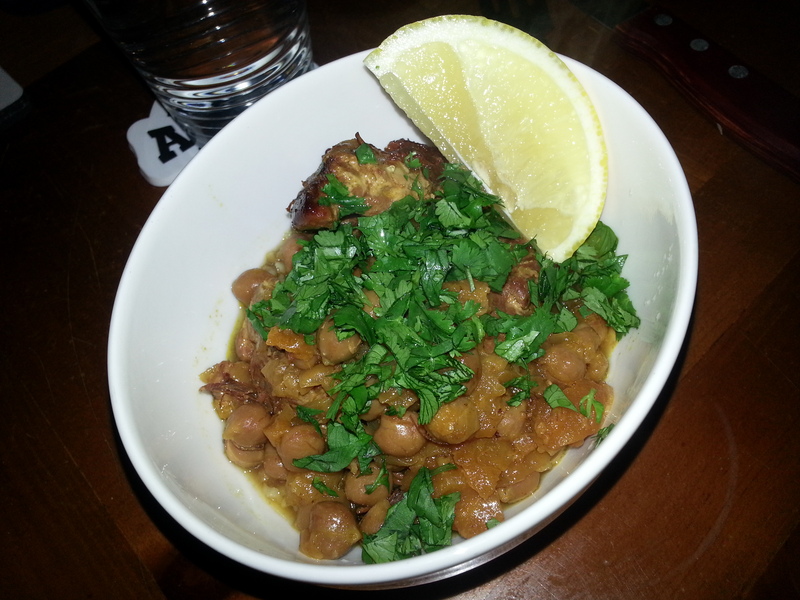 I will still order my Brussel Sprouts, but I will definitely add a few of the new menu items to my after-run menu! 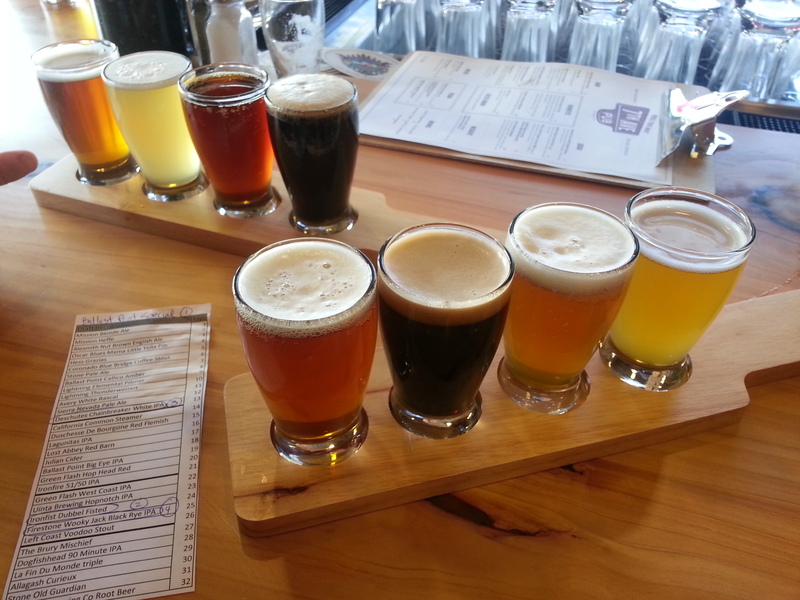 And, I would love, in addition to the beer flights offered, if maybe a wine flight might be added?? Just a suggestion! Job Well Done To The Entire Whole Foods Market Staff! 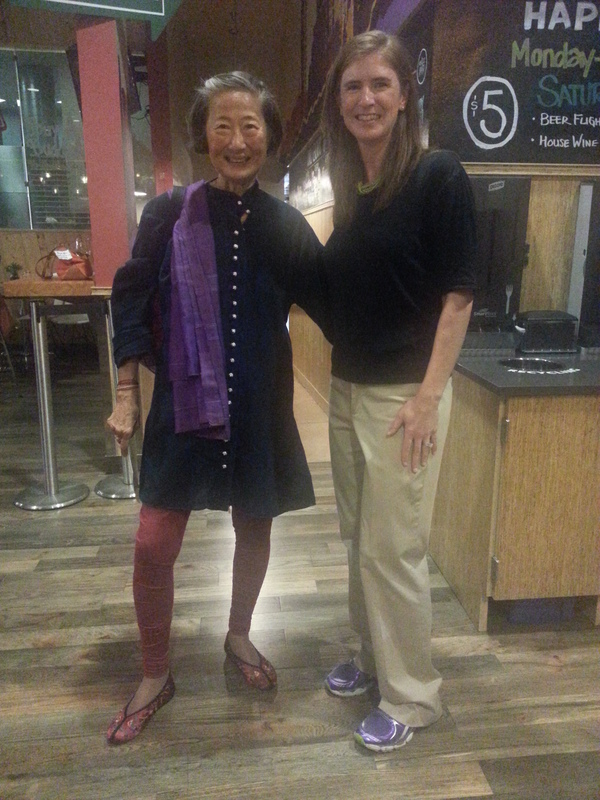 I was so honored to meet Chef Su-Mei Yu. Have you watched her show Savor San Diego? 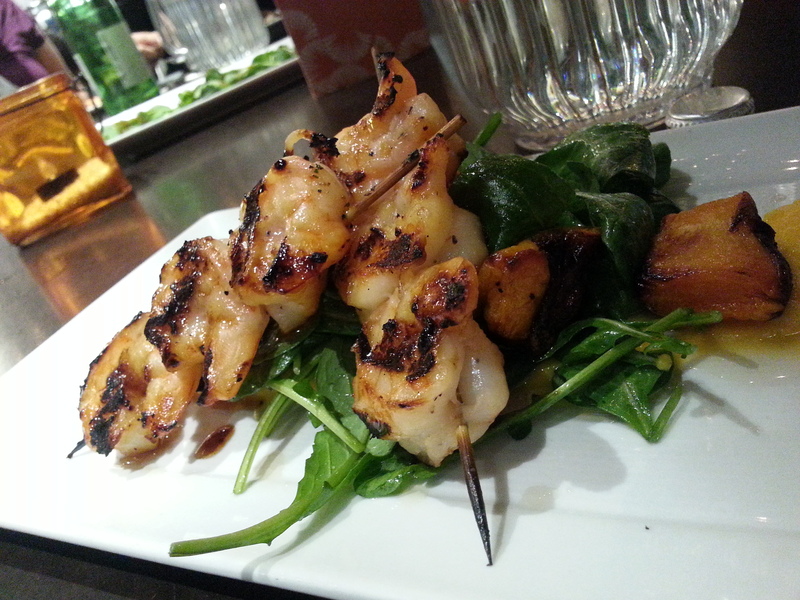 Have you been to Saffron? Both are a must! What’s the best pizza place in San Diego? If someone says Bronx, do you A) agree because you think it’s pretty darn good B) go on a tirade about how Luigi’s is far superior or C) you can’t name a place because pizza is just too unhealthy so you never eat it? If you answered C, why are you reading my blog? If you answered A, pick up the June edition of San Diego Magazine and leisurely peruse the list of Best Restaurants. If you answered A, pick up the magazine, and do what I do and yell (in your own head) that you completely disagree with over half of the winners. I say this because I actually like to read lists just so I can disagree with them. Don’t most people? Wednesday night, two friends, my husband, and I attended the San Diego Magazine Best Restaurants Kick-Off Party at Fixtures Living off of Miramar Road (http://www.fixturesliving.com/). I bought a ticket for $40 which included this party and the big blow-out party on August 23rd in Point Loma. 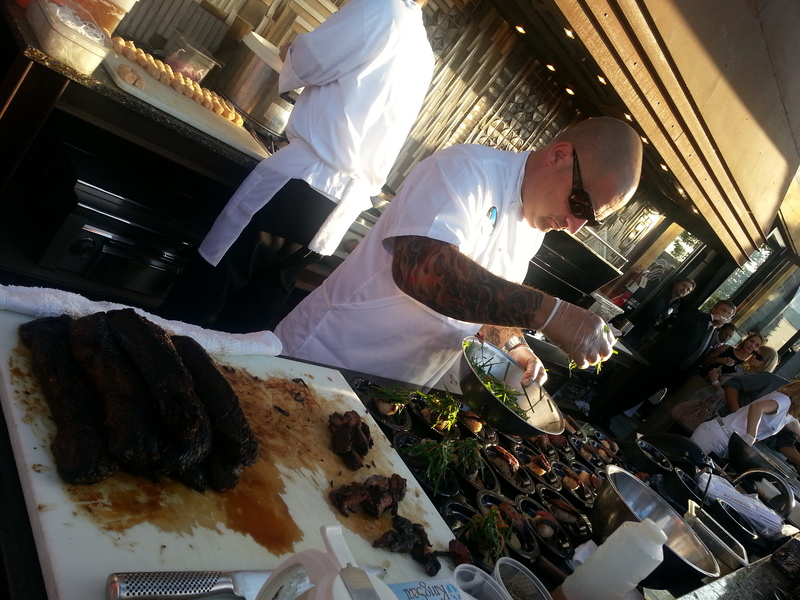 One year, a bunch of my friends and I attend the Point Loma event and we had a great time sampling food and drinks from a slew of places. I wasn’t even aware of the pre-party! Big mistake! Initially, I was weary of the venue. For those not familiar with the area known as Carroll Canyon Business Park, it looks as exciting as its name. Fixtures Living will open at the UTC mall down the road in the Fall which will make it more convenient to stop in and browse. It ended up being the perfect location. I had never been in this store before. It is expansive, and it has room after room of high-end items for the kitchen. 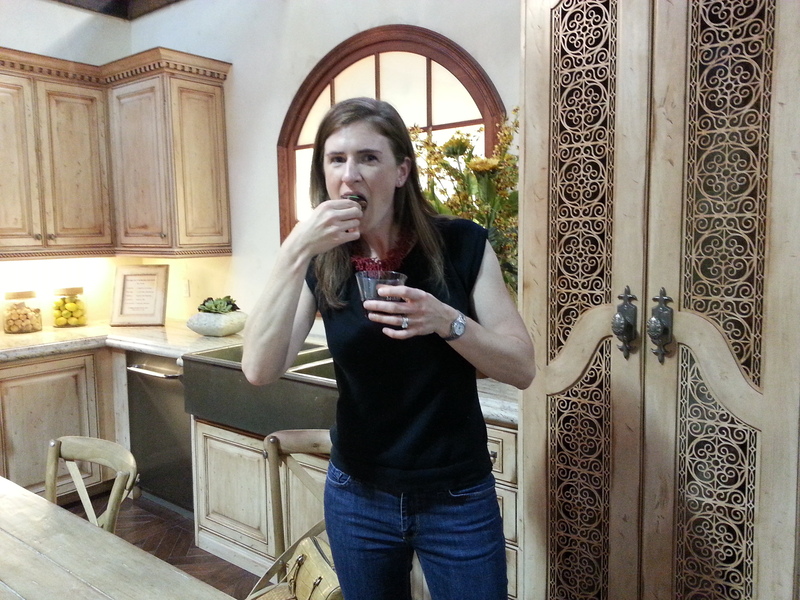 It was so fun eating and drinking in staged kitchens with ranges that cost $50,000! “Oh, this old La Cornue Grand Palais 180? Who doesn’t have one in their kitchen?” That is a sentence I did not hear once during the evening. There were only a couple of food stations that I missed. I was really bummed, but at one point, I could no longer eat anymore. The highlight of the night was Azucar. Go to the website if only for the music: http://www.iloveazucar.com/ I find it very interesting that a Cuban Patisserie is in O.B. I walked into this place some time ago, and, sadly, I never ordered anything. I am a silly woman. The desserts they served were fantastic. If I were alone, the Turron de Havana would have made me weep, but I had to control myself. However, I did not control how many I had. Three. Don’t judge me. 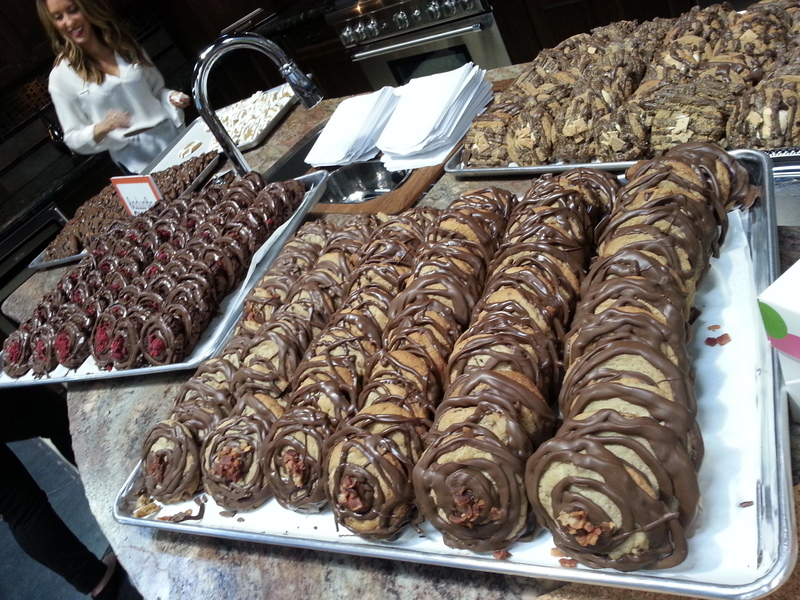 The bottom layer is a hazelnut praline crunch. Is that enough? It could be, but these baking Gods top that with ooey, gooey caramel, topped again with dark chocolate mousse, and topped again with ganache. It was heavenly. My husband loved the Salted Toffee Oatmeal Cookie. They reminded him of the style of cookies I like to make – on the thinner side, but full of flavor. The third dessert was a little shot glass with a burst of flavor: white chocolate cake, passion fruit curd, and a pistachio macaron. I would like to sincerely apologize to this restaurant for not eating your food as often as possible. I will make it up to you. There is a small breakfast and lunch menu, so I will have to check that out now. 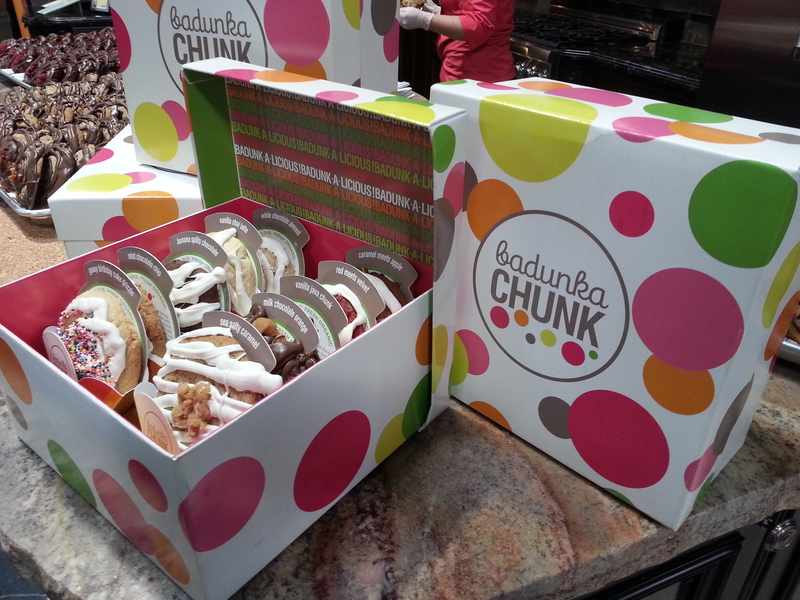 In my opinion, the best named vendor goes to BadunkaChunk Cookies (http://badunkachunk.com/). The name fits the cookie. They are huge and delicious. When Missy Elliott sings about her badonkadonk, she might be singing about these cookies, or how the cookies created the badonkadonk in the first place. You can order cookies over the phone, or you can find them at Rubicon (http://therubicondeli.com/) or at MadFix Coffee Cart in Downtown San Diego on C Street between 6th and 7th (http://www.madfixcoffee.com/default.html). Another big taste winner for me was Green Acre, a restaurant created by the very popular Brian Malarkey and James Brennan. It’s in Sorrento Valley which is kind of random, unless you work here: http://www.sp-land.com/nautilus.html It’s only open Monday through Friday, 7am until 3pm. ( http://www.greenacresd.com/). This is possibly a prototype for future work campuses – healthy, delicious, and interesting meals created not for the shopaholics, but for those slaving away in office buildings. I remember having to choose between Wendy’s and Subway. Not fair!! A Beet.L.T was served, and the best part, other than the fact that I love beets, was the Smoked Cheddar on it. 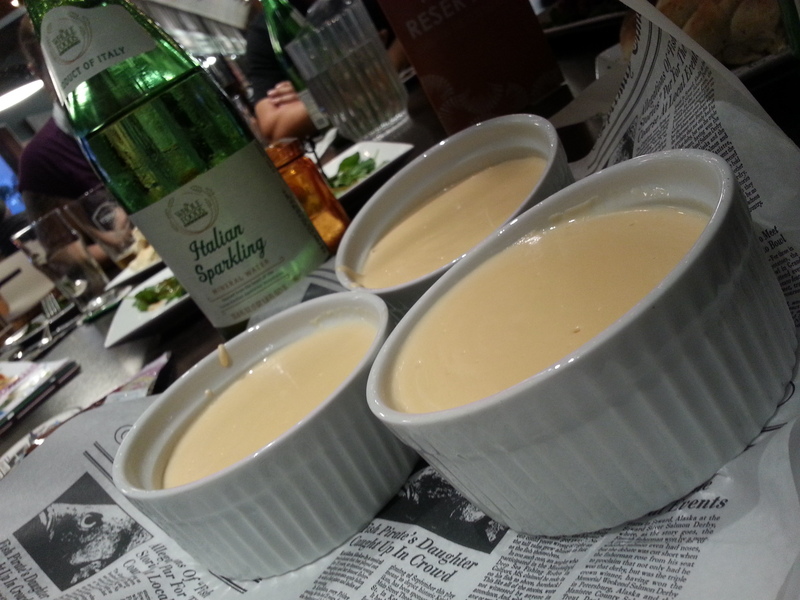 It was prepared like a tuile, so it was super light in weight, but it packed a major cheese punch. Sadly, this was the first bite I had, and I completely forgot to take a picture. Oops. Stella Artois and Miramonte Winery (http://www.miramontewinery.com/) supplied the beverages for the evening, and they were gratefully appreciated. The Sangiovese went so well with my bag of dark chocolate covered nuts, compliments of Marina Kitchen, located inside the San Diego Marriott Marquis. Franz making sure the pouring is done right. And I’m pretty sure the guy serving the beer was 13. Yep, I’m old. Another restaurant that made me really happy? And now I must go to their location in La Jolla? Puesto! I had read about this place, and then I never got around to checking it out (http://www.eatpuesto.com/). 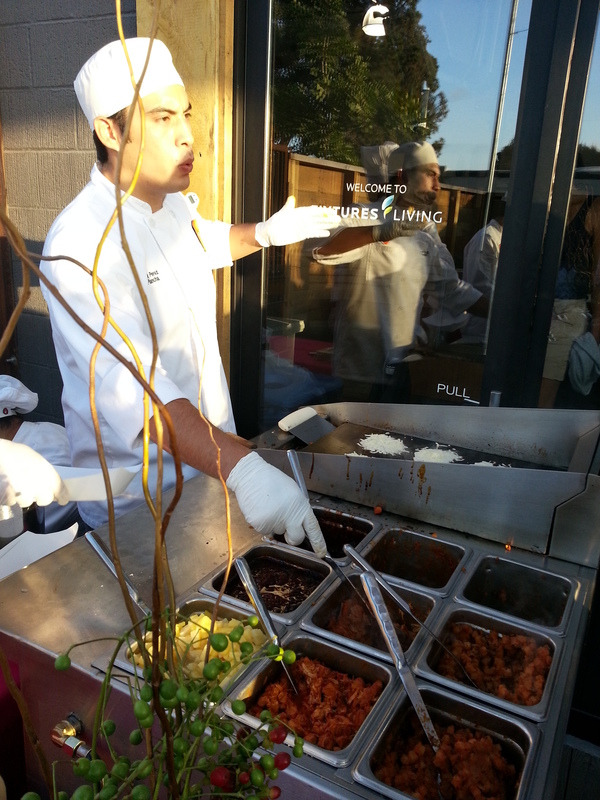 The chefs made each taco to order. 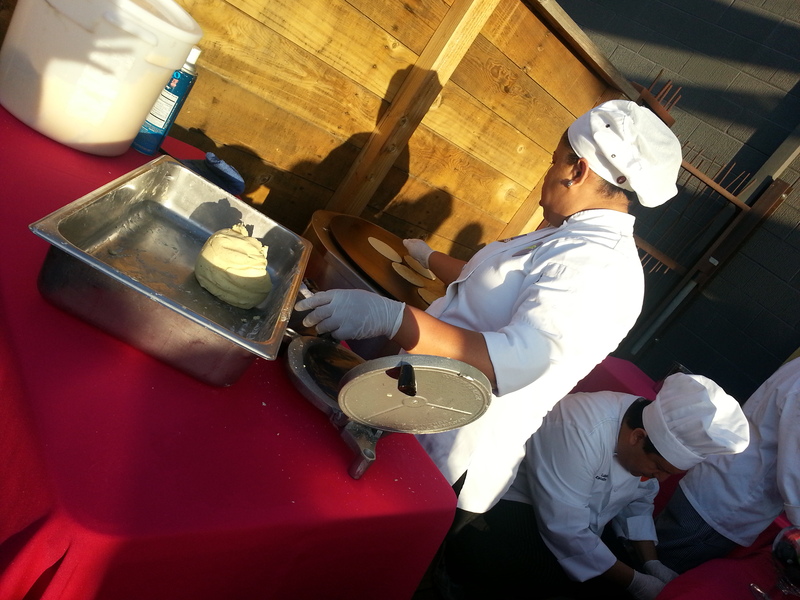 The tortillas were made on site, too. God bless them. 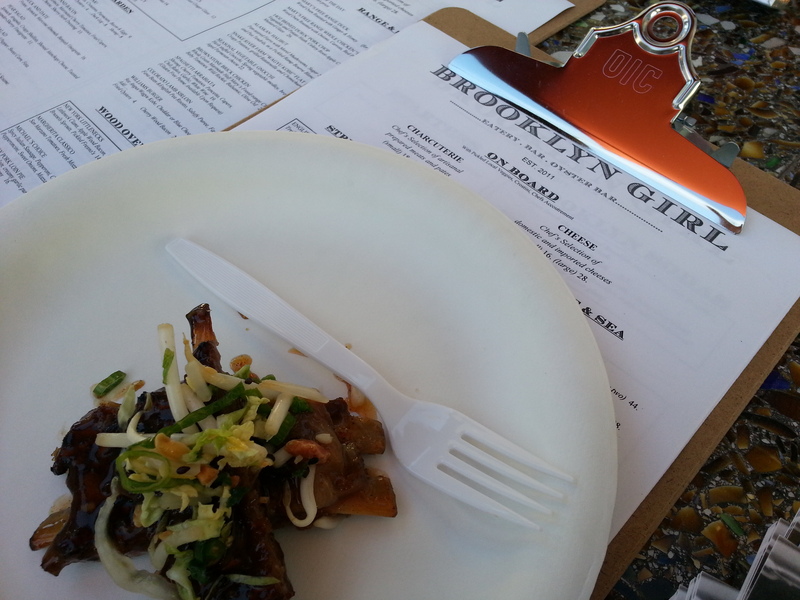 They served 2 tacos: Chicken al Pastor (and I was ooh-ing and ahh-ing over the pineapple in it. It made it very special.) and Potato Soy Chorizo. I loved that they placed the cheese on the hot griddle which basically made a cheese “tortilla” which held the filling together, and that was placed in the tortilla. 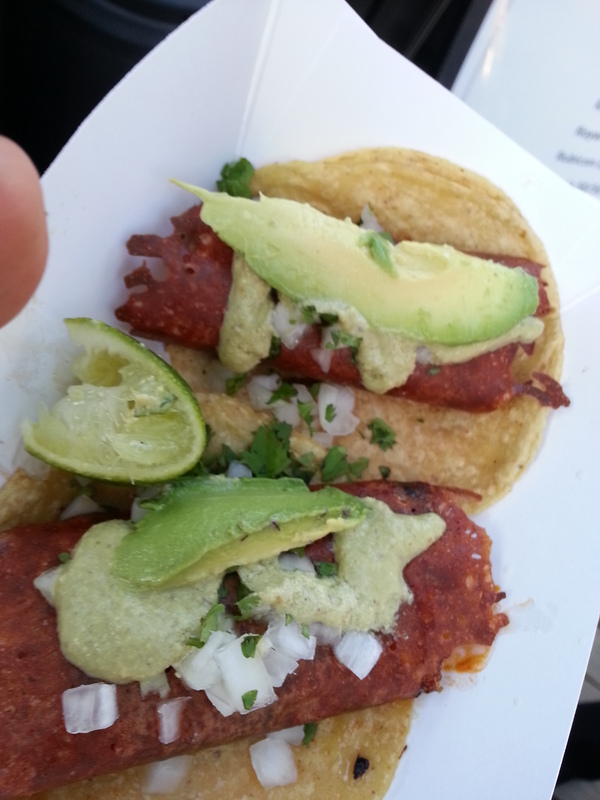 They had a couple different sauces to top it off, and sliced some fresh avocado to top the little devils. It was sweet, spicy, and fresh. I loved it! Few Things In The World Are Better Than Hand Made Tortillas. She Is Doing God’s Work! 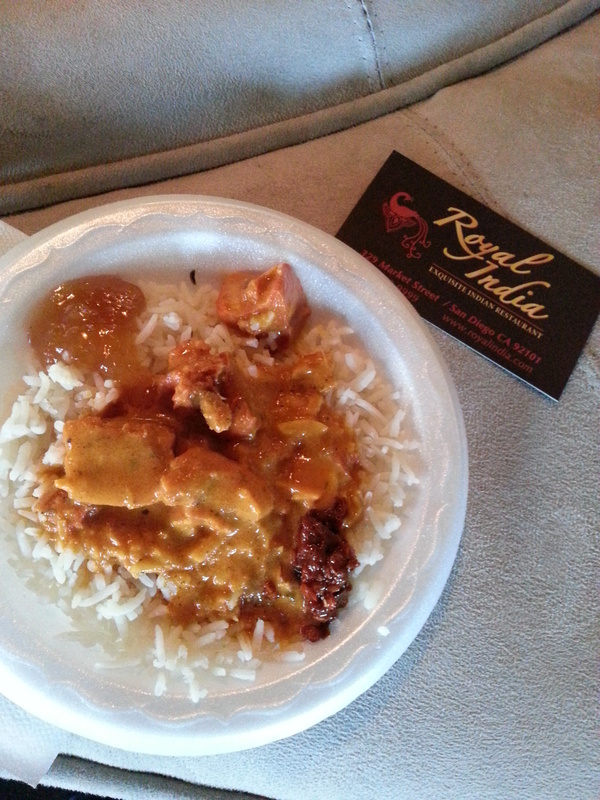 Royal India won my category of Best Schmoozing Effort (https://royalindia.com/) . My husband and I got cards to return to their Downtown restaurant for free meals with a purchase of a bottle of wine. If you read my previous post, you know I love Indian food. I requested both condiments that were being offered, just to get a taste of everything they offer! One was sweet and one was spicy, and I loved both! I will be heading to their restaurant to try their Saag, my favorite dish of all time! I will see you soon! Get the Paneer Saag ready! I don’t want to go on too long about this event. I’ve probably already lost a few people along the way! 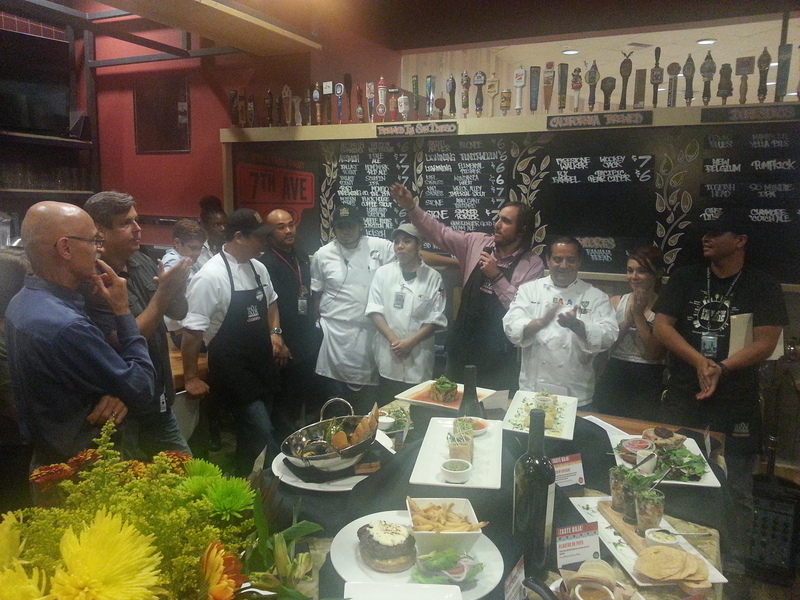 I will say that I was really impressed with all of the participants, the venue, and the people from San Diego Magazine. I met the Editor, Erin Chambers Smith, at the Puesto table. She was so nice, and it was great seeing people in the publishing and food industry enjoying mingling and eating. 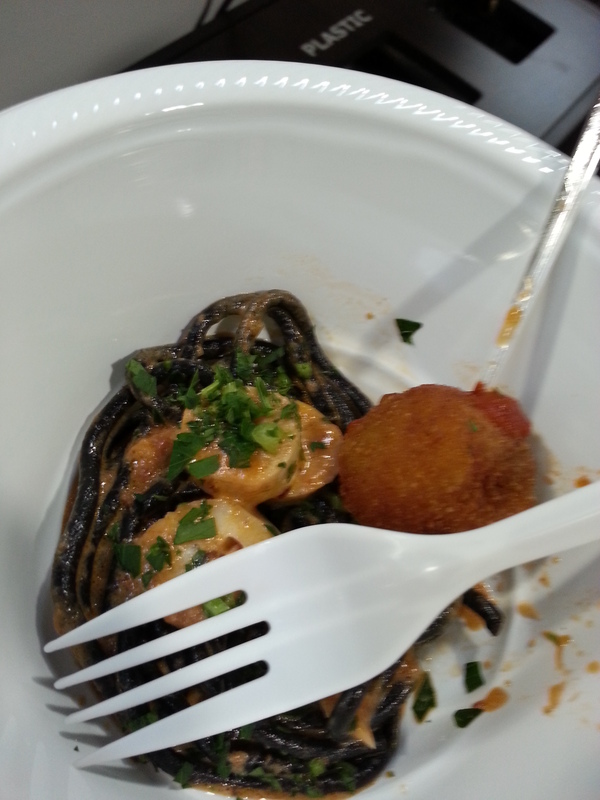 Sorry my fork was in the way of this delicious squid ink pasta from Bencotto. 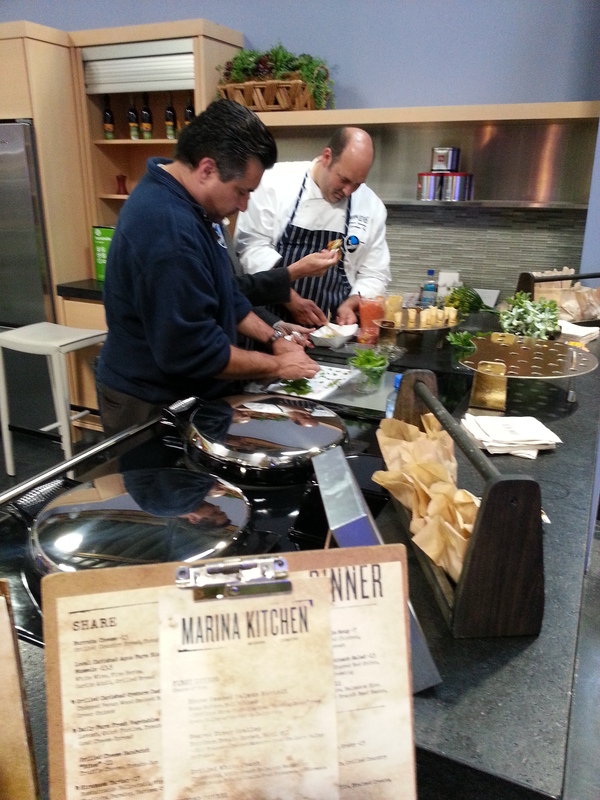 It was tough juggling food, wine and camera phone! The ribs were a little sweeter than I prefer from Brooklyn Girl, but I’ve been to this restaurant before and I loved it! Eat at the bar! Great people watching! I wanted cheese. I got cheese. Thanks, Monello! One of the few stations I didn’t get a chance to try. I know. I’m horrible. Everyone was raving about this dish from Roppongi. 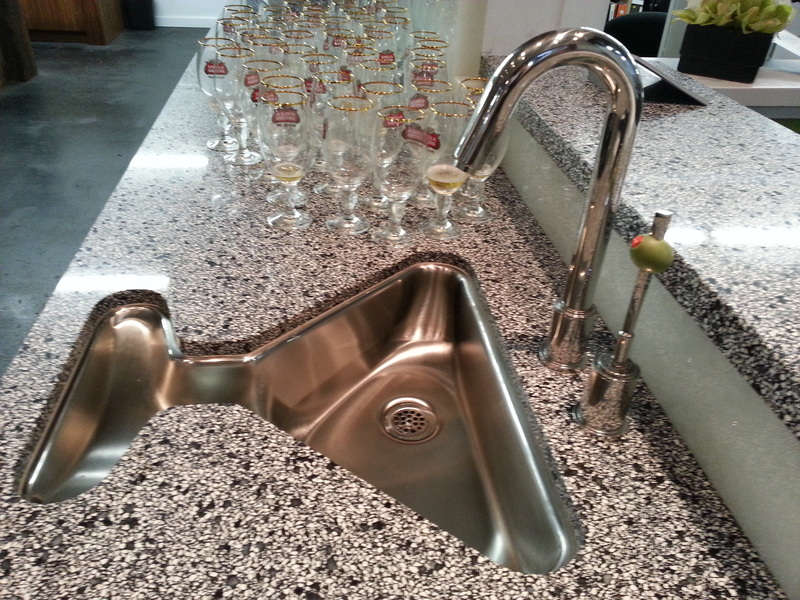 How cool is this martini sink? It even has an olive on the handle! You can buy it! I had Rubicon Deli the other week and fell in love with them. I was happy to see them at this event! 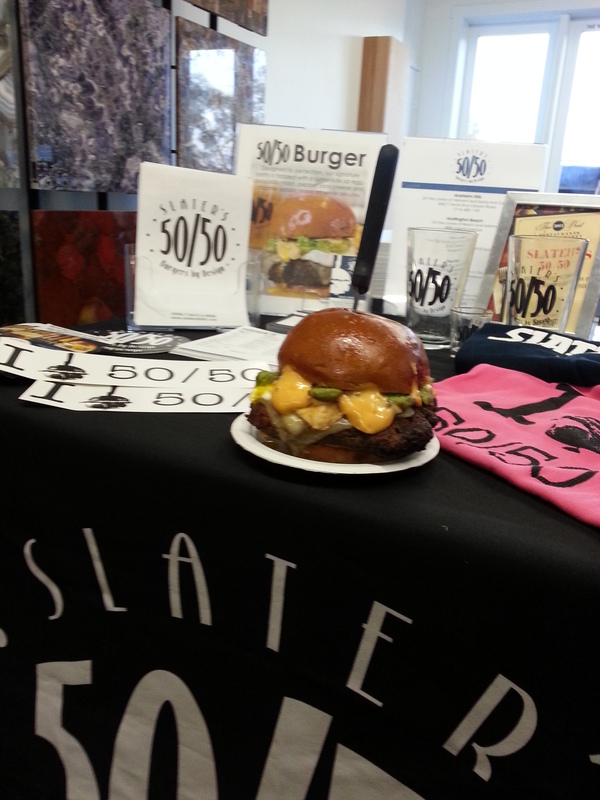 I’m not a fan of the half bacon and half beef burgers at Slater’s 50/50, but I do like their “normal” all beef burgers. I love their Peanut Butter and Jellousy Burger! I highly recommend attending this event next year. It sells out fast, so keep a look out for it, and buy your tickets! And you can still enjoy all of the great restaurants in San Diego in one spot! 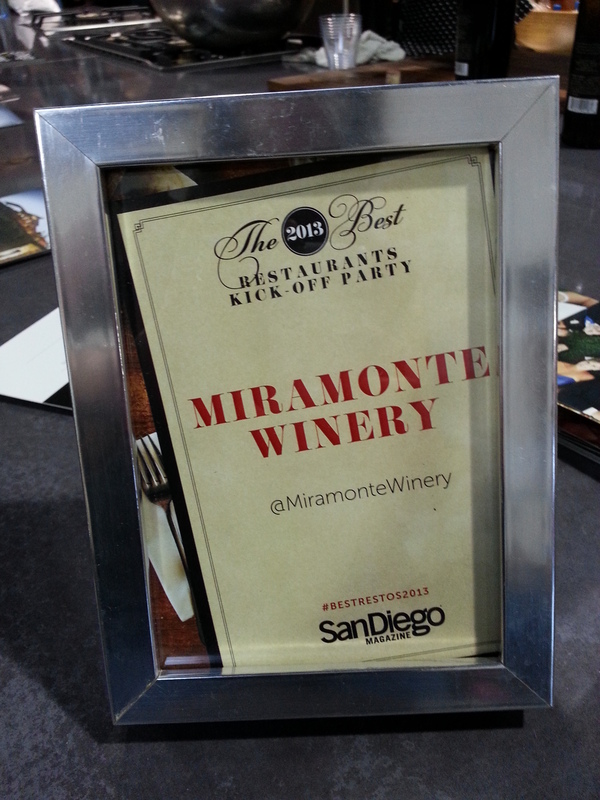 The Best of San Diego Party takes place August 23rd at Liberty Station in Point Loma. Get your tickets! Here’s the link with all of the information you will need: http://www.sandiegomagazine.com/San-Diego-Magazine/January-2013/Best-of-San-Diego-Party/. 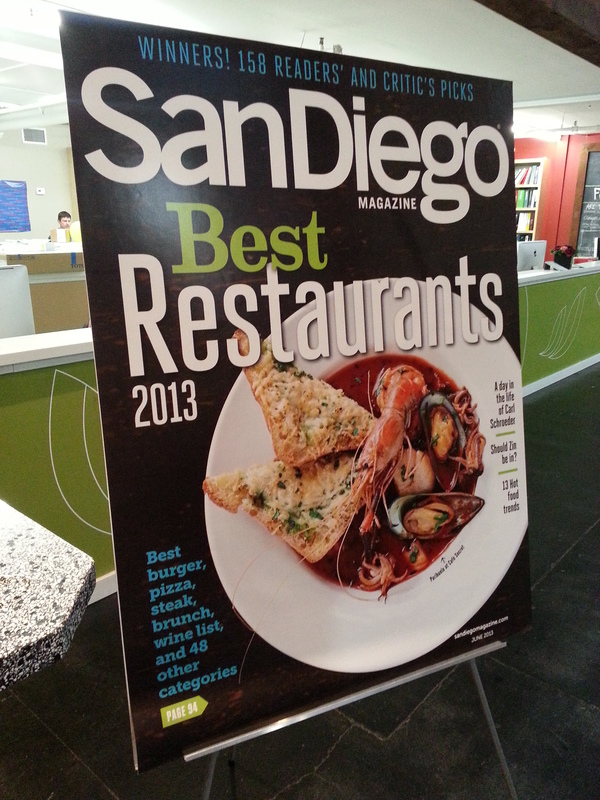 Take a look at the San Diego Magazine’s Best Restaurant edition as well. Let me know if there’s a place you love that should be on their list! I would love to check it out! Oh, and by the way, Pizzeria Luigi’s rules. What a great evening! And I forgot to mention Cucina Urbana had some killer pizza coming out of their stone oven. Very appreciated! 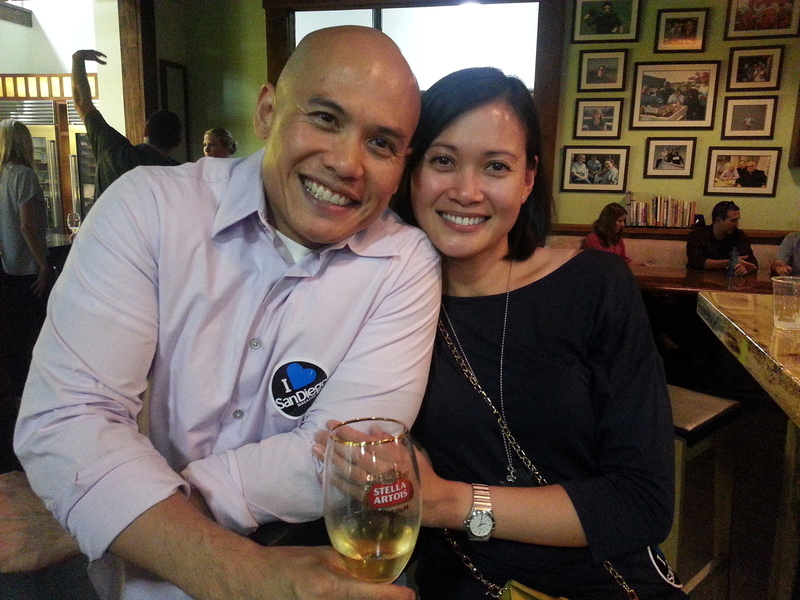 My partners in (food) crime – Pete and Marilen.